I have been to this breathtaking island already 4 times and I am still in love with it like at a first sight..
Hey guys, its me, Katie. 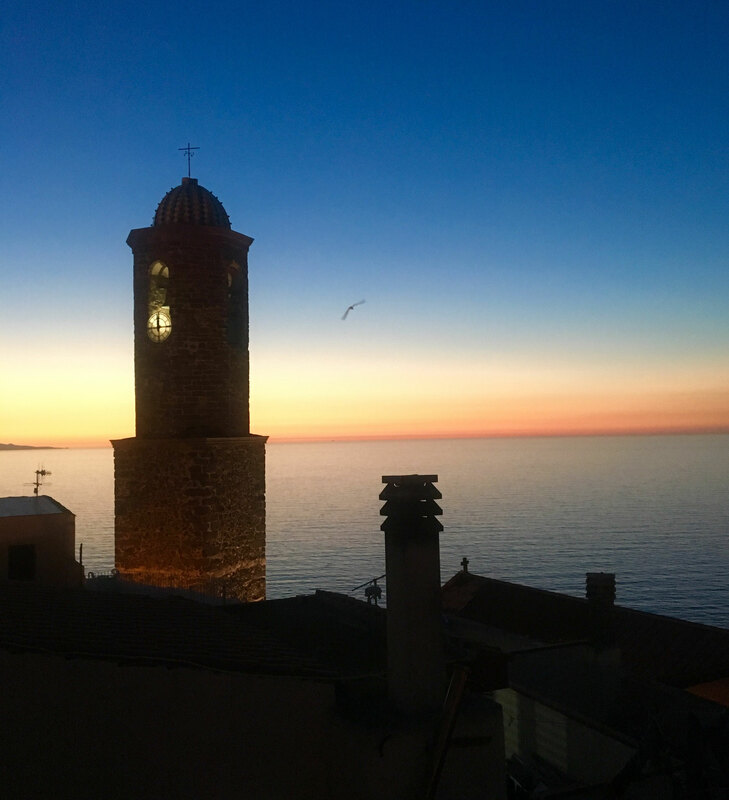 Again, once in a time I finally do have time to scribble down few words about my favourite place on the earth I recently visited. 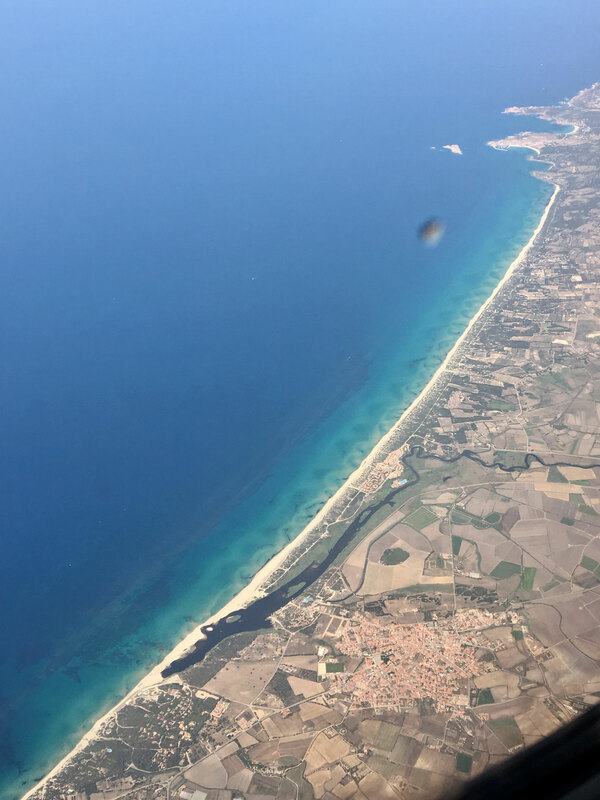 My beloved Sardinia. 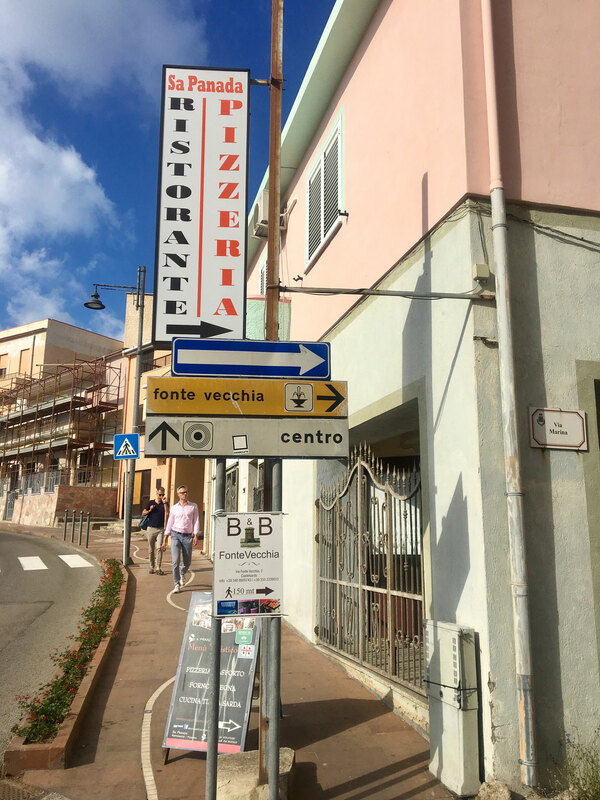 Italian would say SARDEGNA. 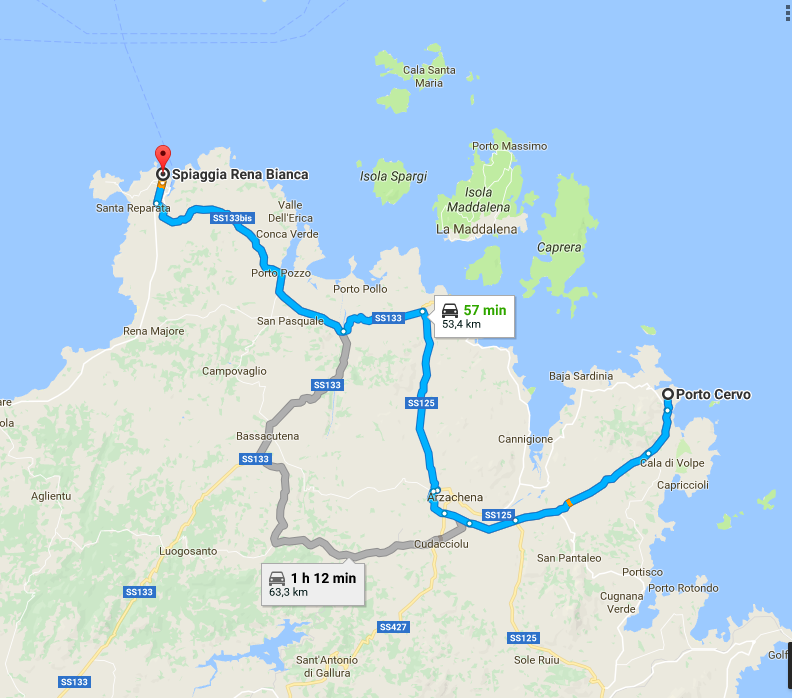 This time I was on vacation with my boyfriend and I also met my sister later on. 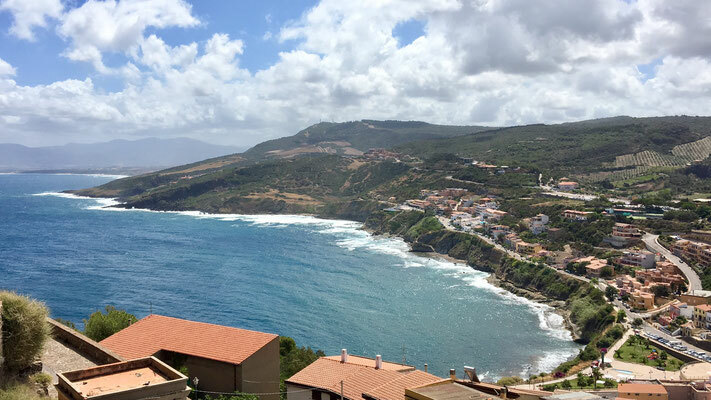 As traditionally we always do - we visited more than just 1 place on this beautiful island. 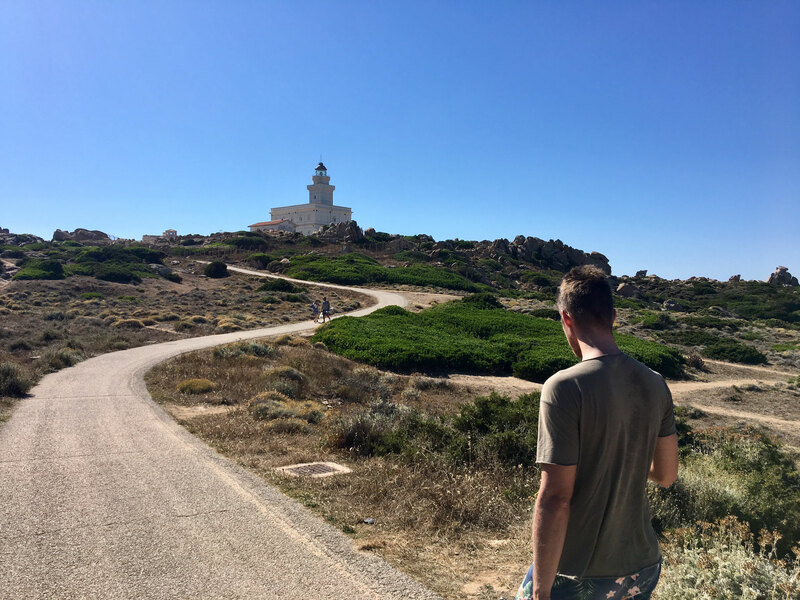 So here is my diary of what we saw, tasted, experienced and much more. 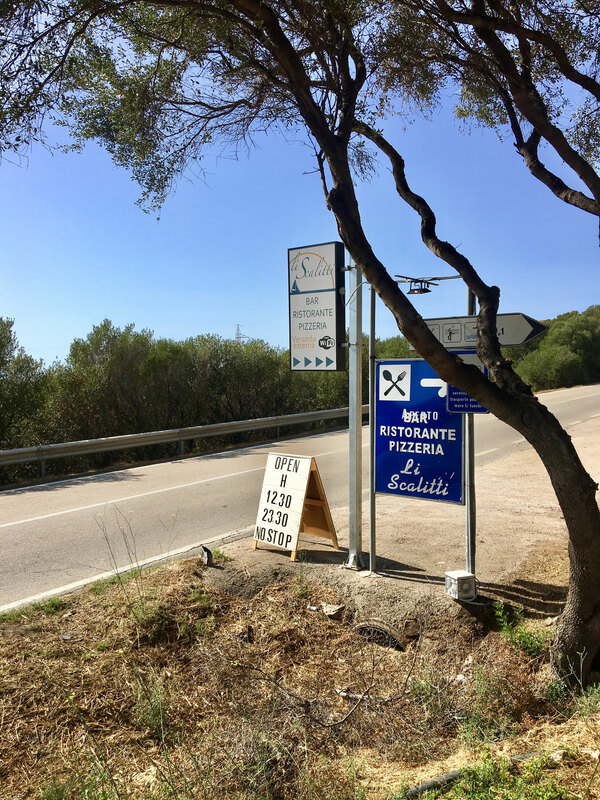 After arrival in Alghero we picked up our car at the counter of Green Motion. For 260 €/week we got BIG Citroen Picasso - the reason why we got this huge family car according to sale assistance was: " you are very tall" :-D Alright, not bad for beginning. 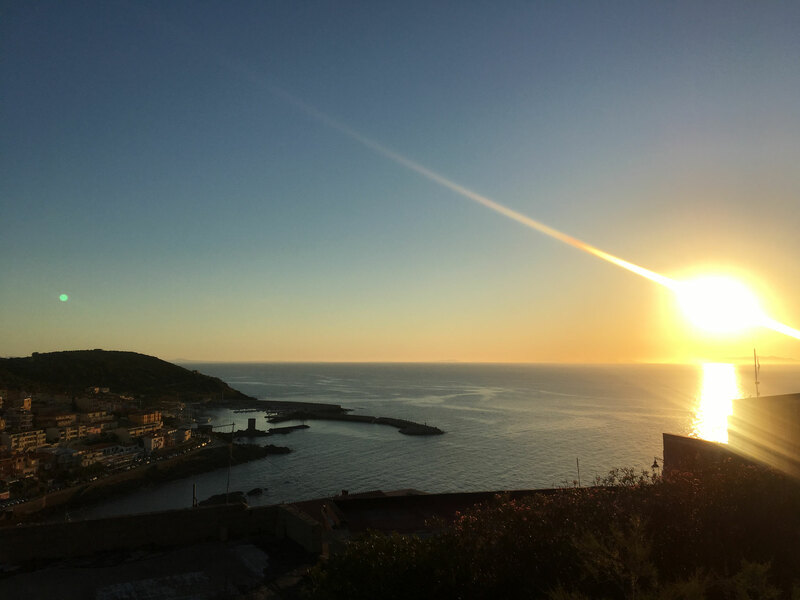 So we drove to the centre of Alghero, medieval catalan harbour which just easily takes your breath away while watching beautiful sunset. We booked with booking.com as we usually do. 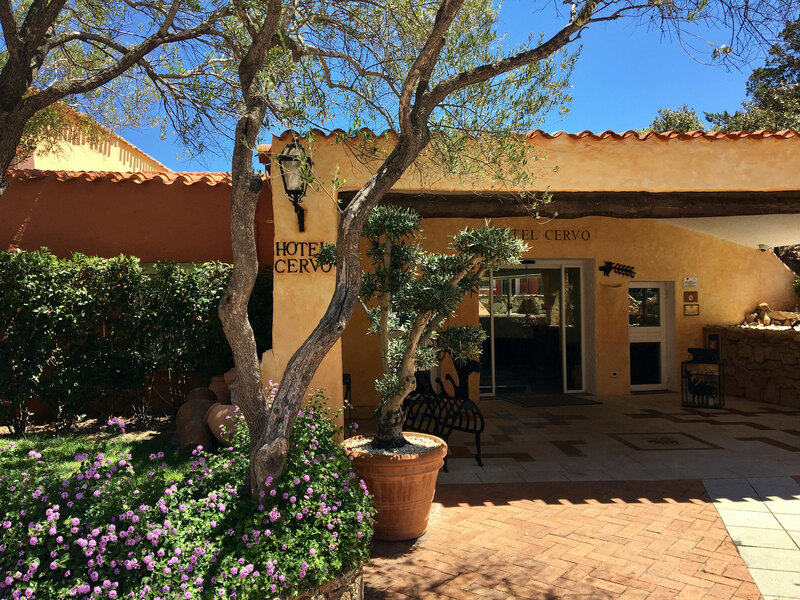 This time we stayed at Giramondo Sardegna Affittacamere. According to booking.com reviewers is this place "superb". It is ok for staying over night. Not bad, but not SUPERB - this is my personal opinion. The good thing was, that the host = Germano spoke English. There is a grocery store 3 min. walking, a bus stop and if you want to reach city centre, you would only need approx. 17-20 min of walking. 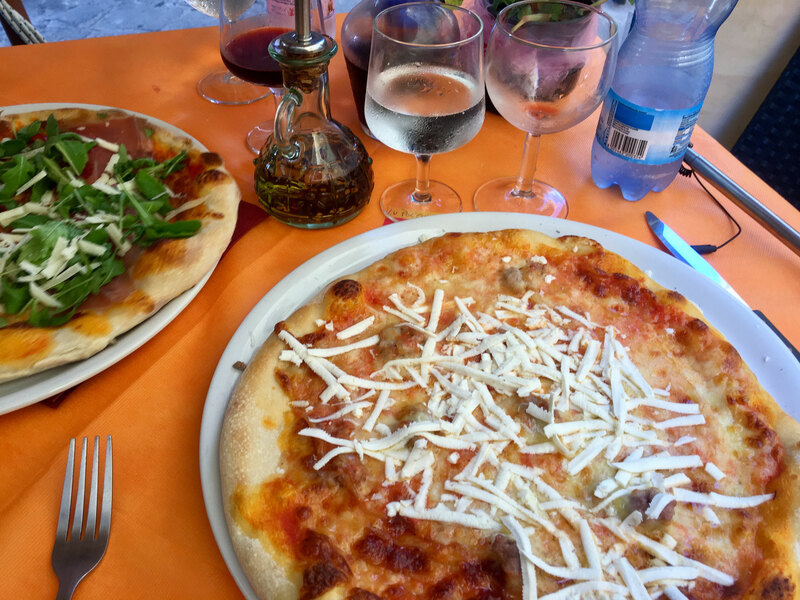 As every time when we visit Alghero, we booked table for the dinner at the restaurant La Saletta - absolute TOP in Alghero. Not so pricey, fantastic home made food prepared from fresh LOCAL ingredients. Service also on a very good level. 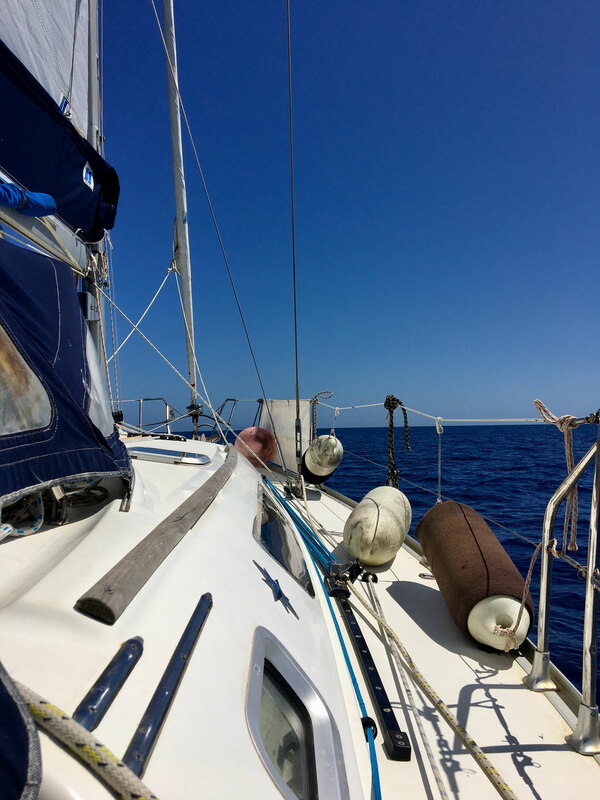 We left Alghero on our 2.day. 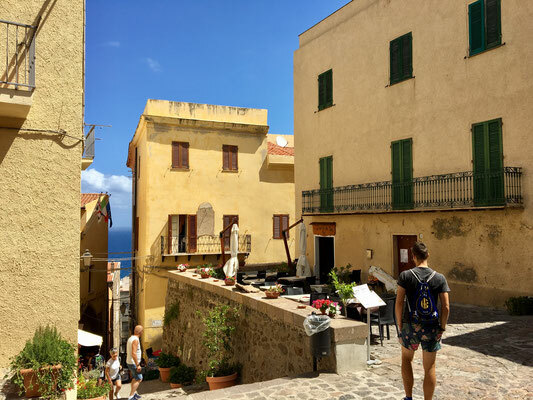 We were heading to Castelsardo, a truly picturesque little village on the north coast. This is a very good location for exploring north of Sardinia. 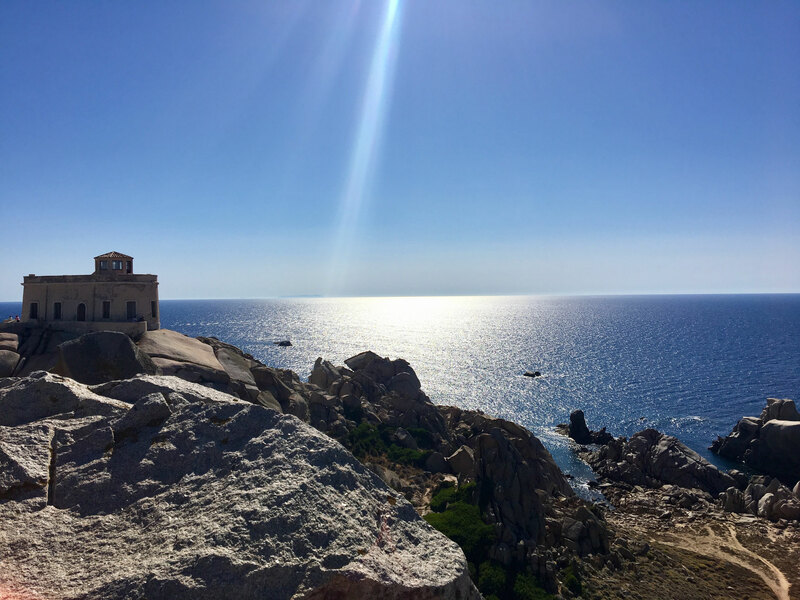 If you find yourself there, you could visit Santa Teresa di Gallura, Palau, famous Porto Cervo or Stintino. 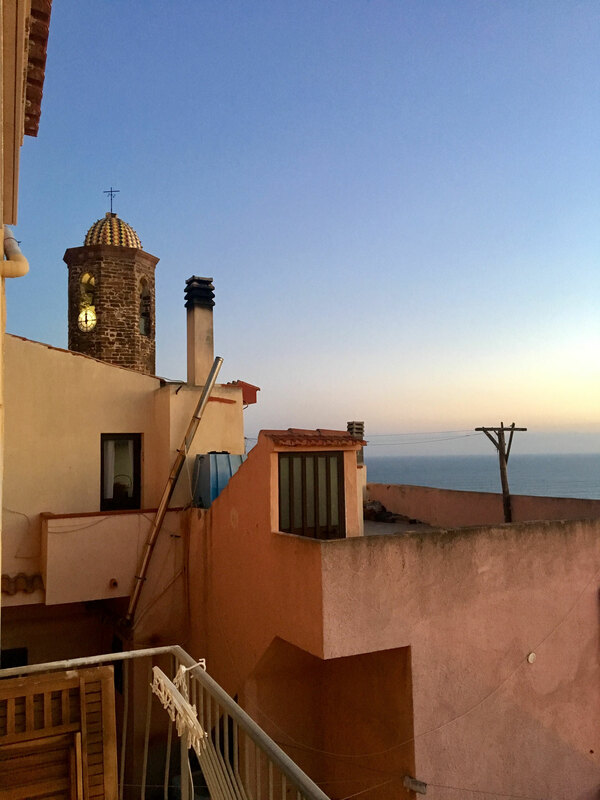 There is no other place in Sardinia as Castelsardo! Simply beautiful! 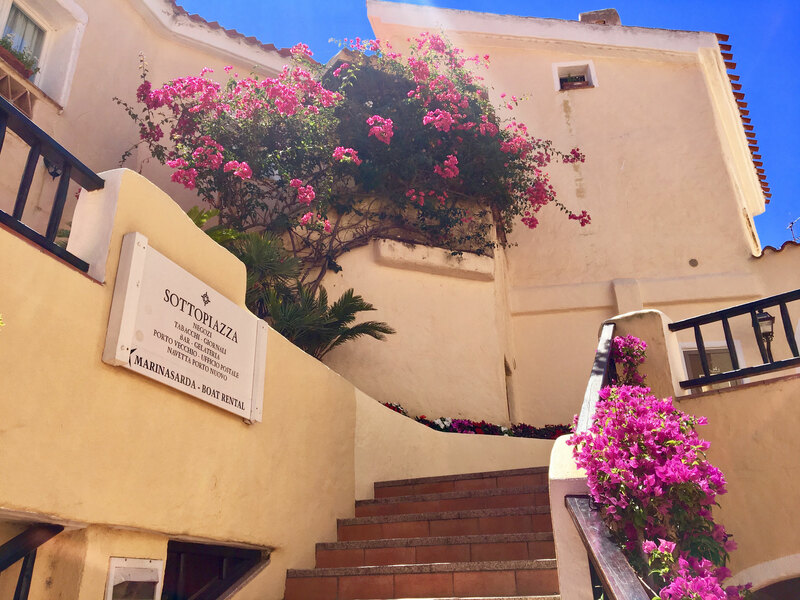 You will find plenty of very good restaurants around - literally on every step. We stayed in B&B Lupolciu e Calarina located in the historical centre of Castelsardo, which features air-conditioned rooms with sea-view terrace and antique windows. 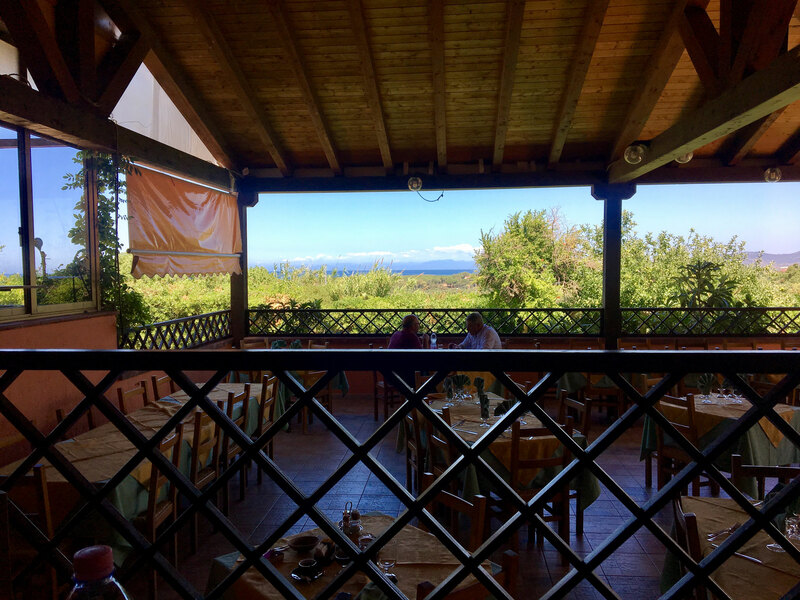 Our breakfast was served in panoramic terrace. 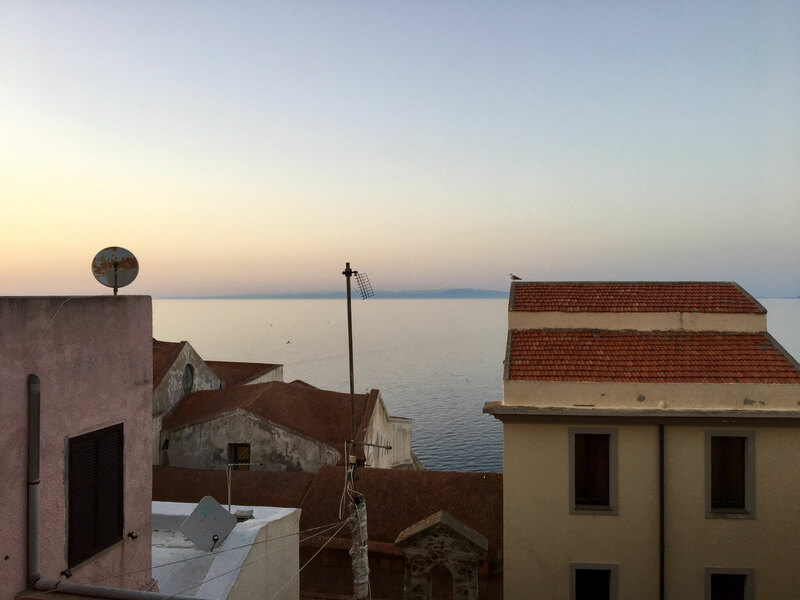 We paid 90€/night which is over our usual budget, but trust me, its worth it. We were also very satisfied with our host Stefania! She was very friendly and provided us with everything we needed. 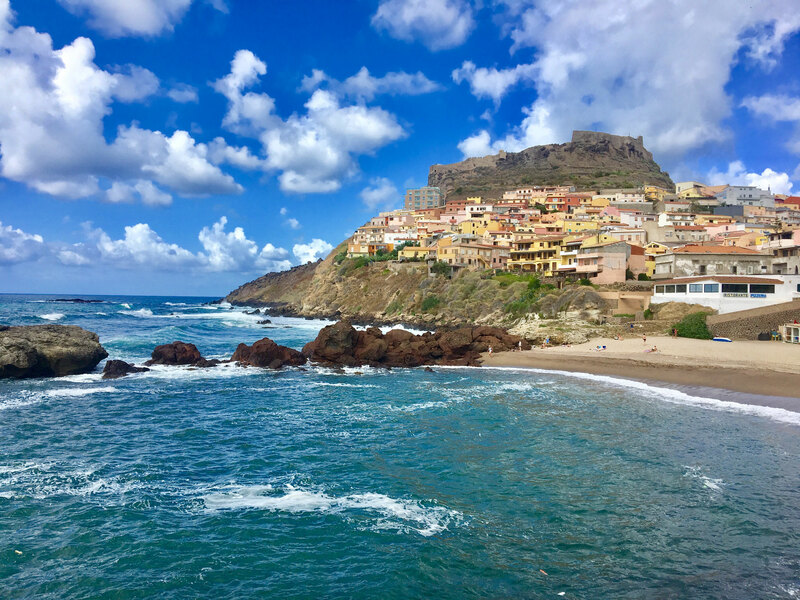 The day we arrived in Castelsardo we decided to take a walk to the small harbour to take pictures of some boats and yachts. 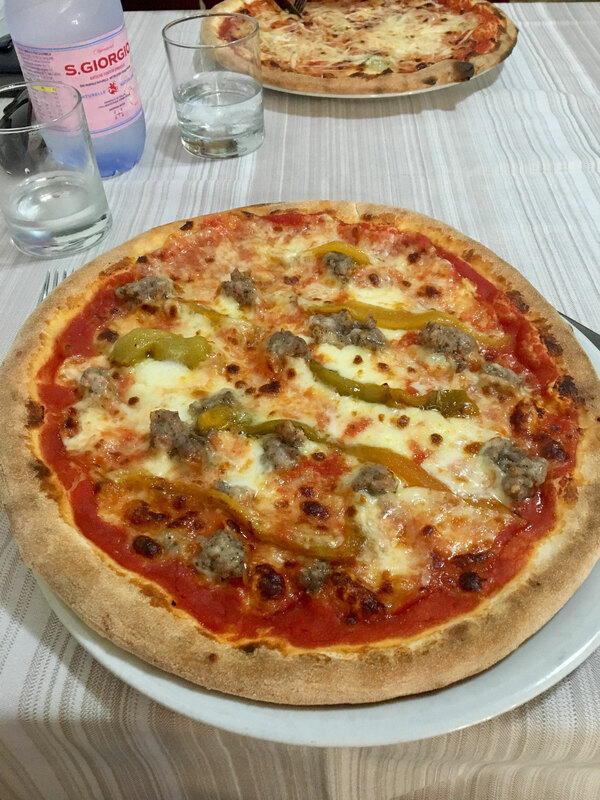 After our walk we went to a pizzeria called Sa Panada. 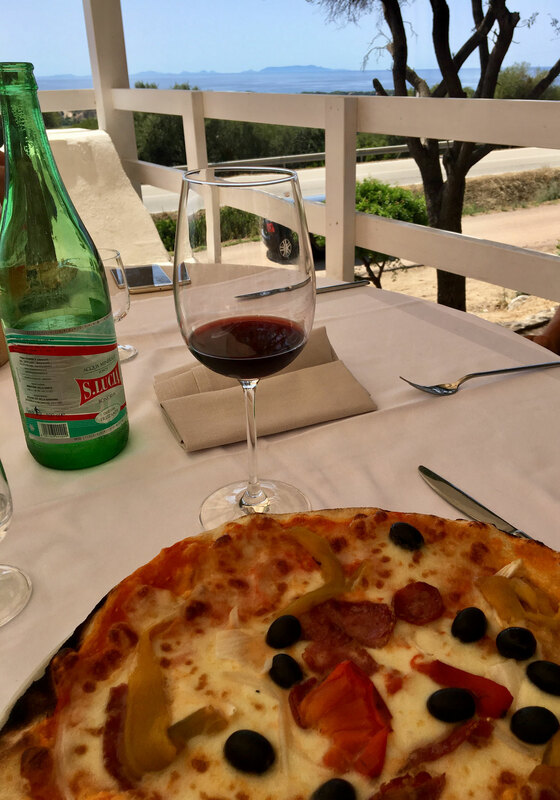 Good Pizza and the best Prosecco on the island! Check out the website for Prosecco: http://www.tenutaasinara.com. 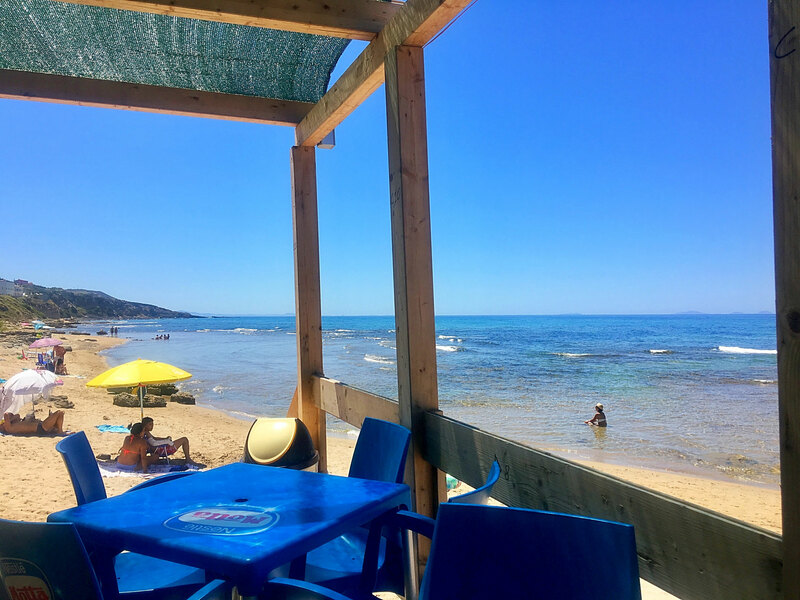 To finish off this beautiful day, we met our friend Anna and visited some friend of hers at the beach bar in Castelsardo. 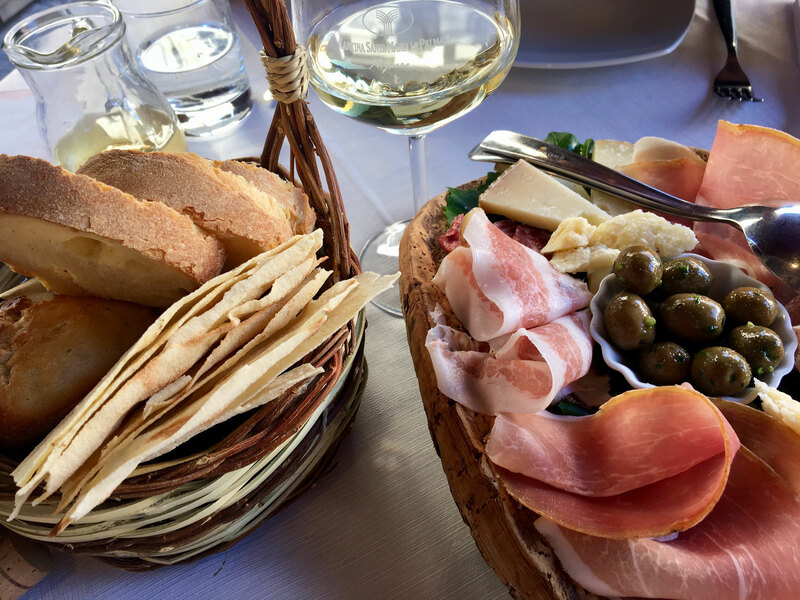 We spent truly wonderful time with local people drinking local wines and tasting local crisps, cheeses and salsiccia. The 3rd day of our vacation was really remarkable. 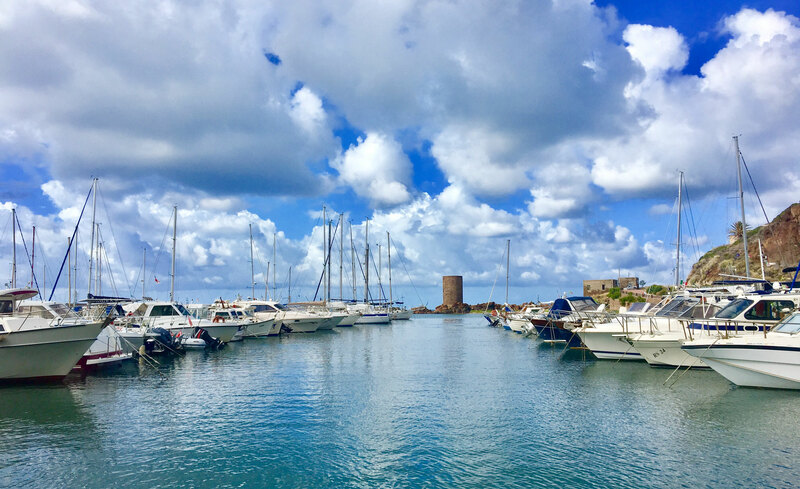 Our friend Anna invited us to Stintino to spend a day on a small boat - only me, my boyfriend, herself and her friend. 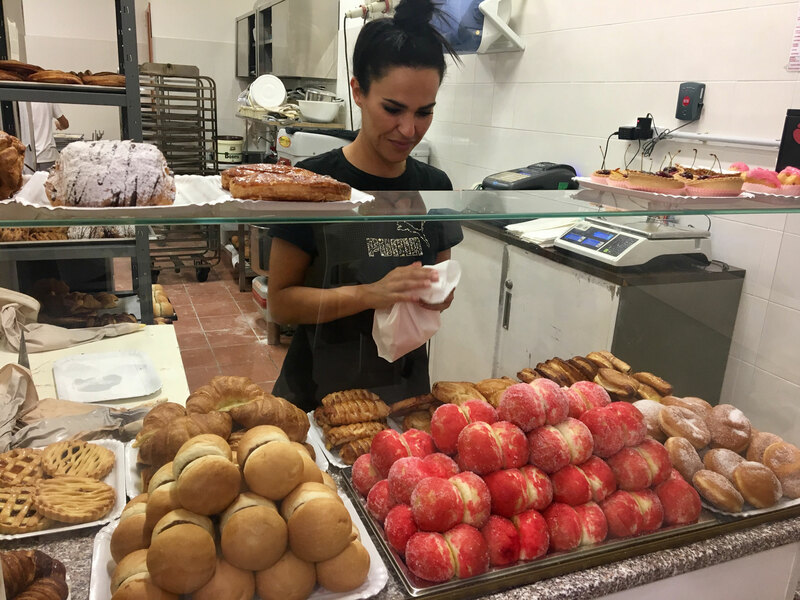 We couldn´t say no to that! So after taking our coffee in Castelsardo, we headed to Stintino where we met Anna and her friend. At the beginning we really didnt know what to expect. How this story ended up you can see at the pictures. We spent the most beautiful day of our holidays at the board of that boat! 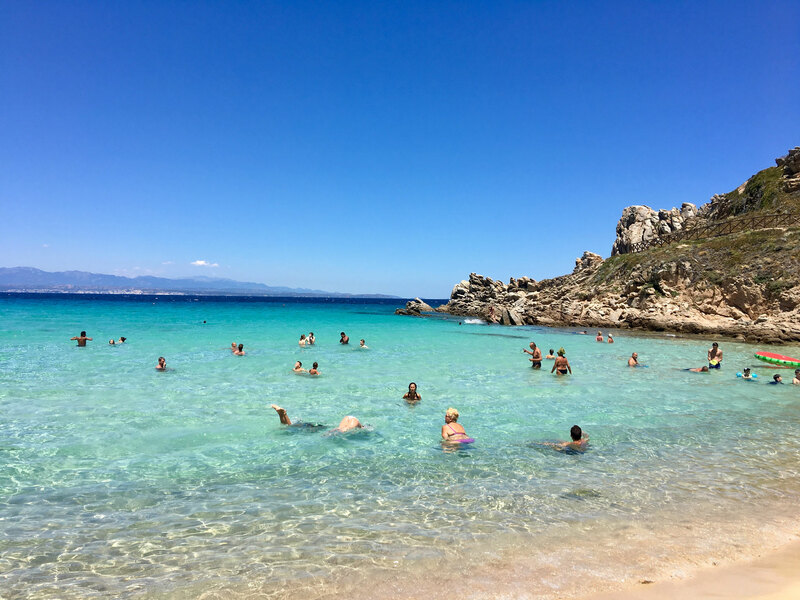 We sailed to few bays at the Asinara Island, one of the natural parks in Sardinia. 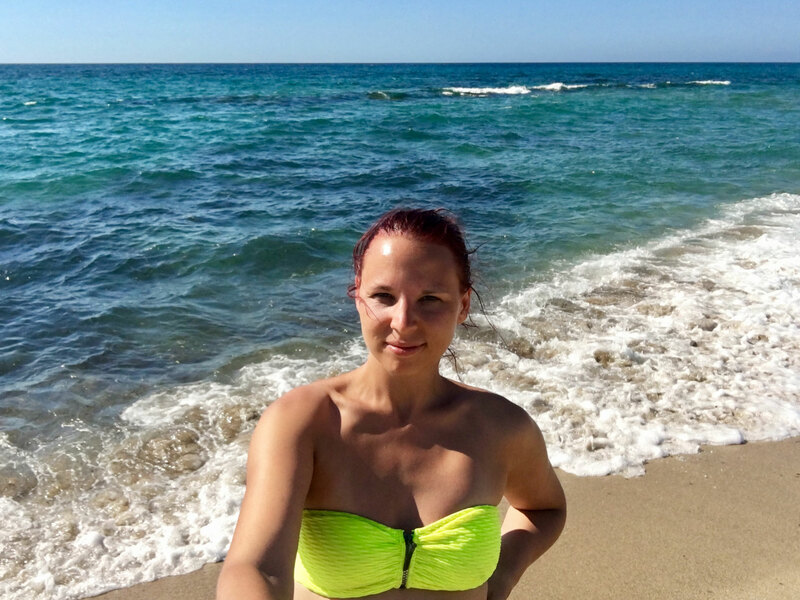 We experienced snorkeling in the turqoise bluest water you can ever imagine! 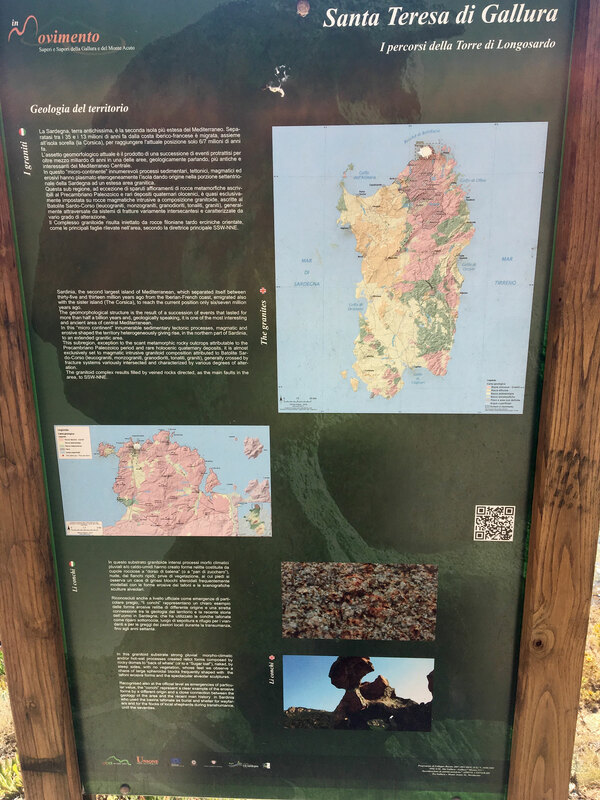 This 17km long island is special for his rare inhabitans - white Asinara donkeys. 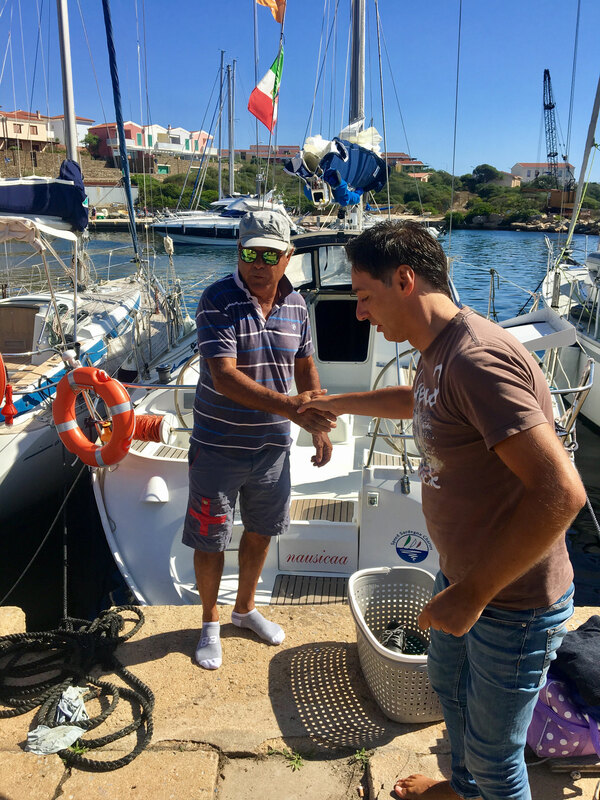 After unforgetabble 8 hours spent on the boat we drove to Porto Torres, where we had our dinner at very good restaurant called San Gavino. After having coffee on our sunny terrace we drove 17km east to the village called Valledoria. 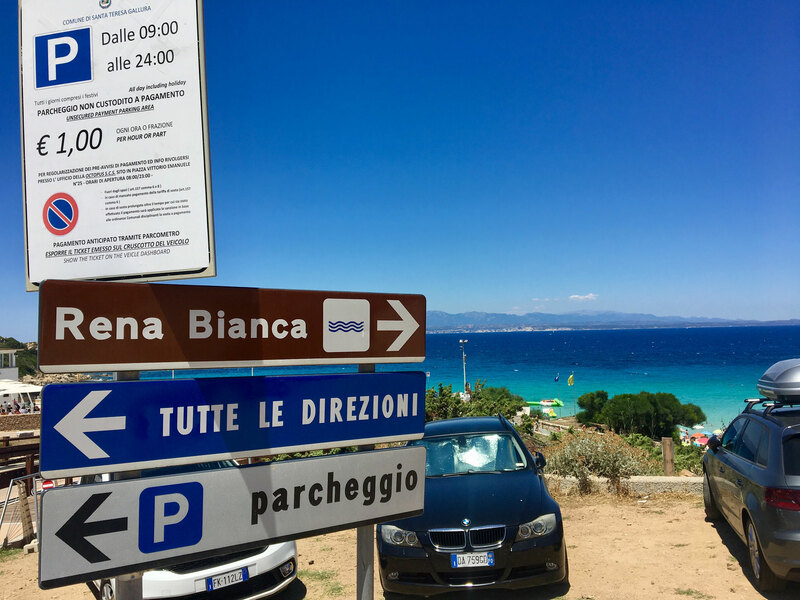 We parked in our car at the beach San Pietro di mare. Gorgeour looong sandy beach. 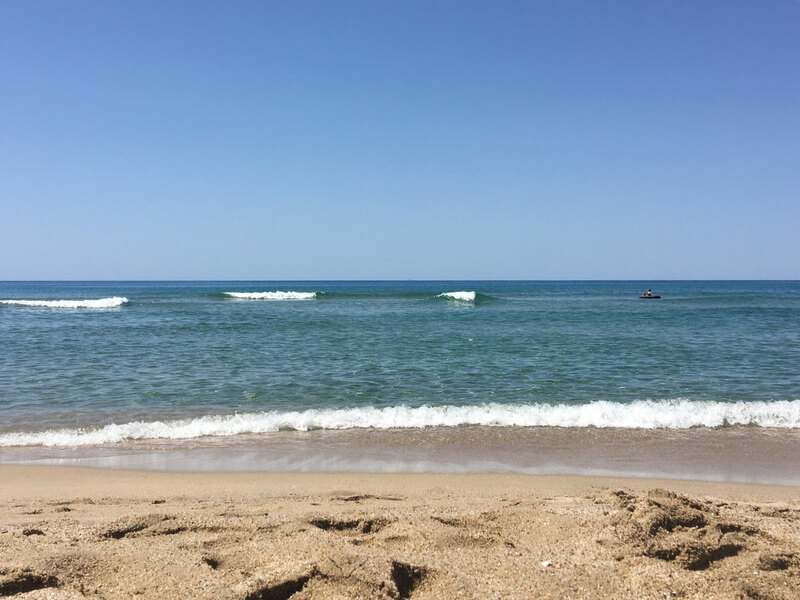 We spent our whole day at the beach with a small lunch break nearby hotel named La Vela. Tasty! 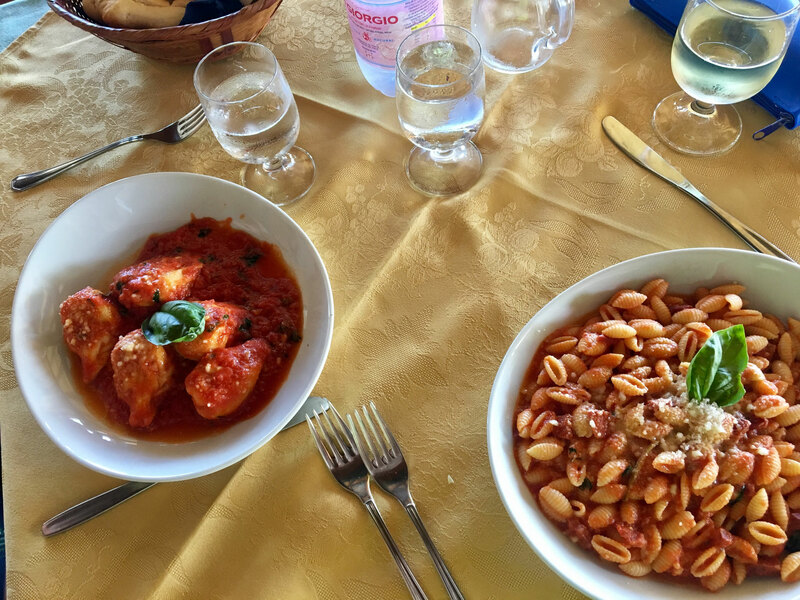 We had Gnochetti Sardi (me - as usual haha) and my boyfriend took culurgiones filled with ricotta- both typical sardinian pasta dishes. After our lunch we went back to the beach and enjoyed the beautiful sunshine till the evening. 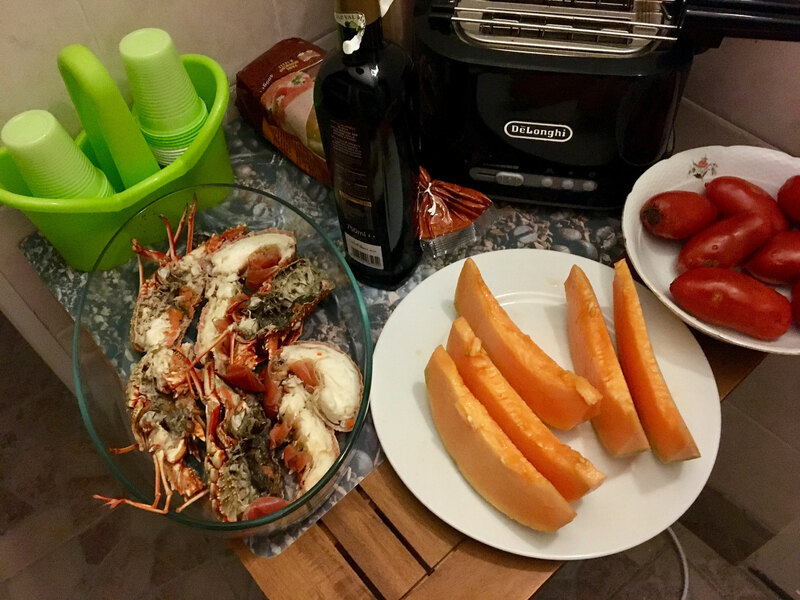 A little surprise was awaiting us as we got back to our accomodation - our host Stefania prepared a dinner for us - lobster pasta and lobster as main course! Unbelievable! Lu Bagnu - a nearby village. 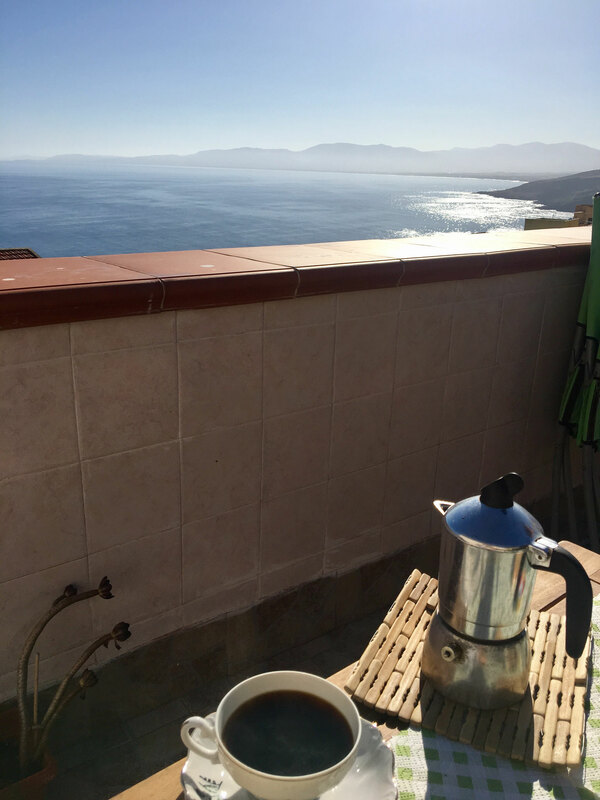 After coffee on our sunny terrace were we deciding which beach to go to. It was quite easy to decide - we didnt really feel like travelling too far, so we went to the next door village Lu Bagnu. In the morning it was very peaceful there. The highlight of this place is a little cute beach bar which was at the time when we were there not full at all and you get a sand glass instead of that plastic stuff which you usually get on these places. 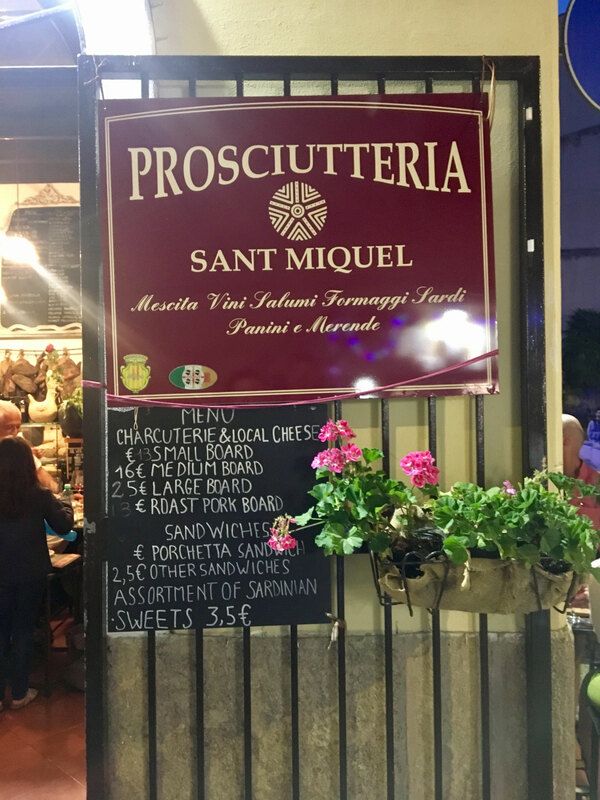 The aperol Spritz costs 4€ - bargain price! The beach is mixed - at some places you find sandy parts, at some huge rocky pieces and at some small gravels. I find this beach cool. Lets check out my photos down below! 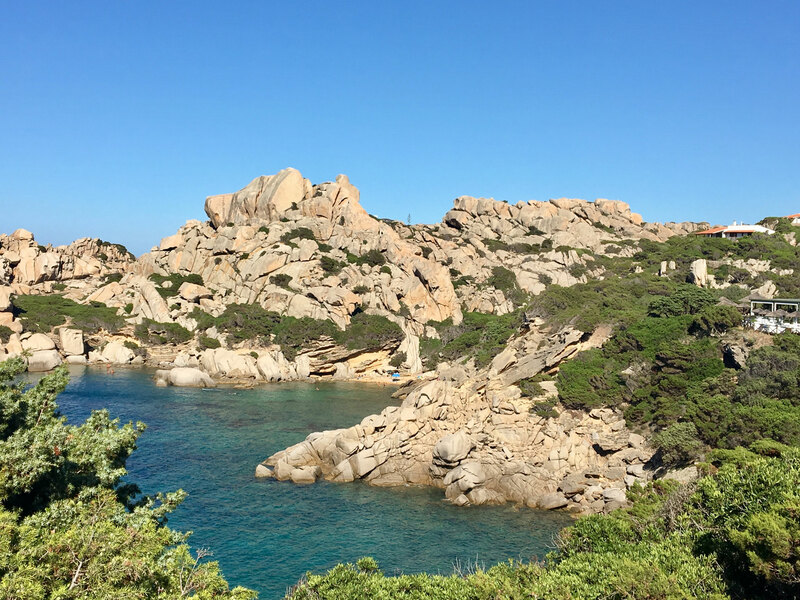 We spent our 6th day on Sardinia exploring Costa Smeralda - Emerald Coast. 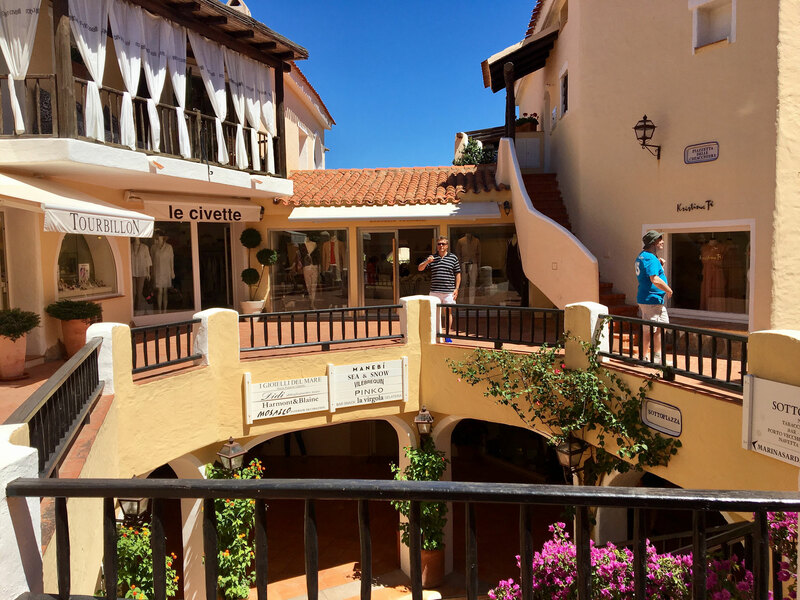 Our first stop was Porto Cervo known for its famous and glamorous visitors such as Hollywood stars, football players etc. who have their holiday luxurious villas standing on the hills nearby this charming little harbour. After a 1 hour walk arounf this charming place we were nearly dying of the heat. 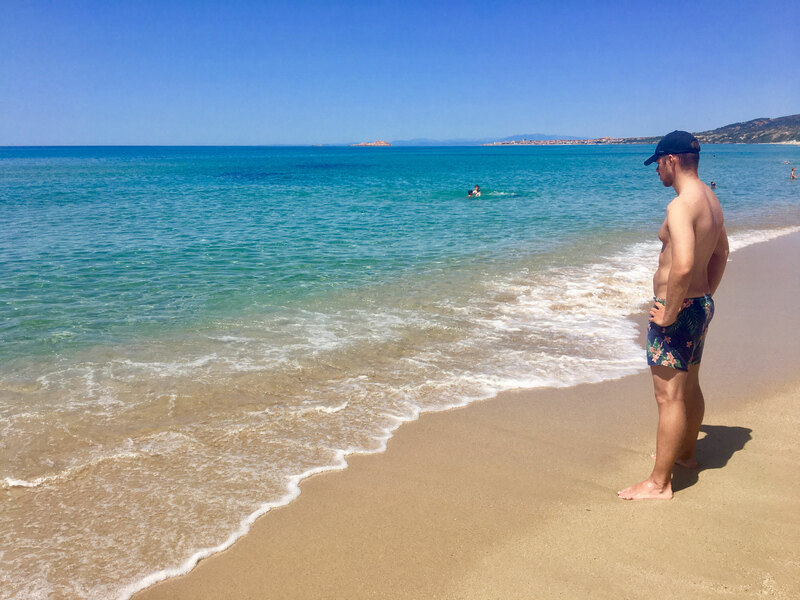 Outside was burning hot, about 35 deegres of Celsius and we knew we have to refresh ourselves in the turquoise waters of Sardegna somewhere nearby. A short advice: there is an ice cream shop just few steps away from those big expensive yachts - do not miss it! They have the best ice cream on the island! 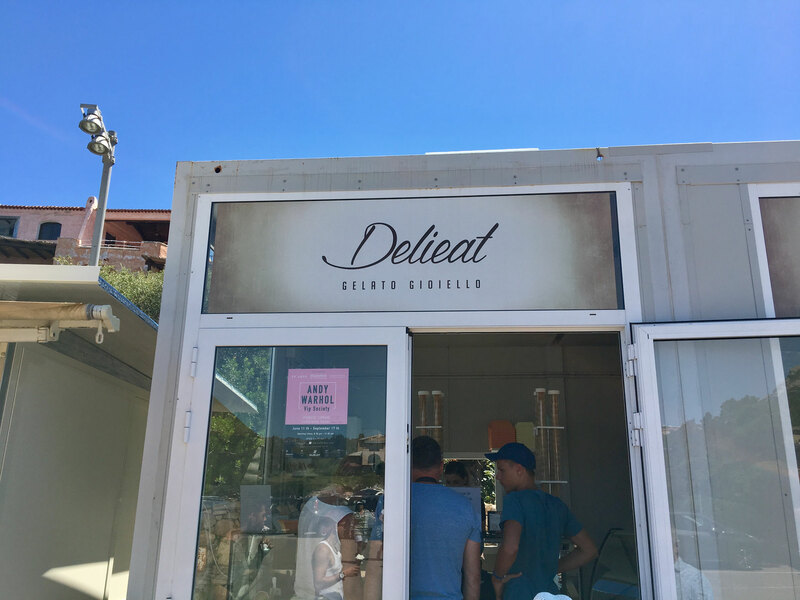 The shop is called "Delieat". 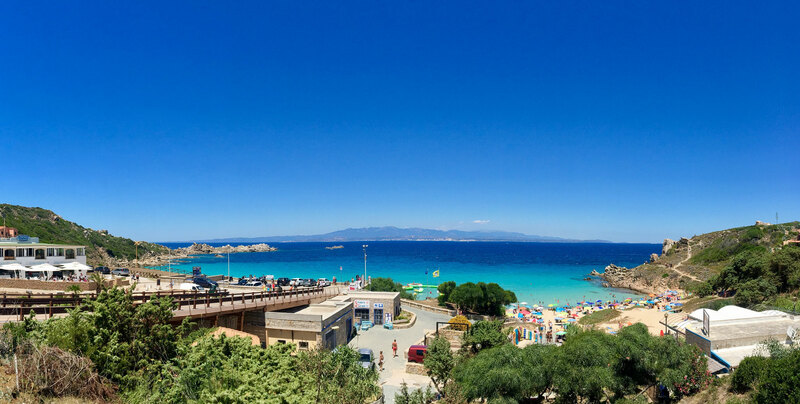 So we drove to stunning Santa Teresa di Gallura. There is no need for any comments. Look at those pictures! 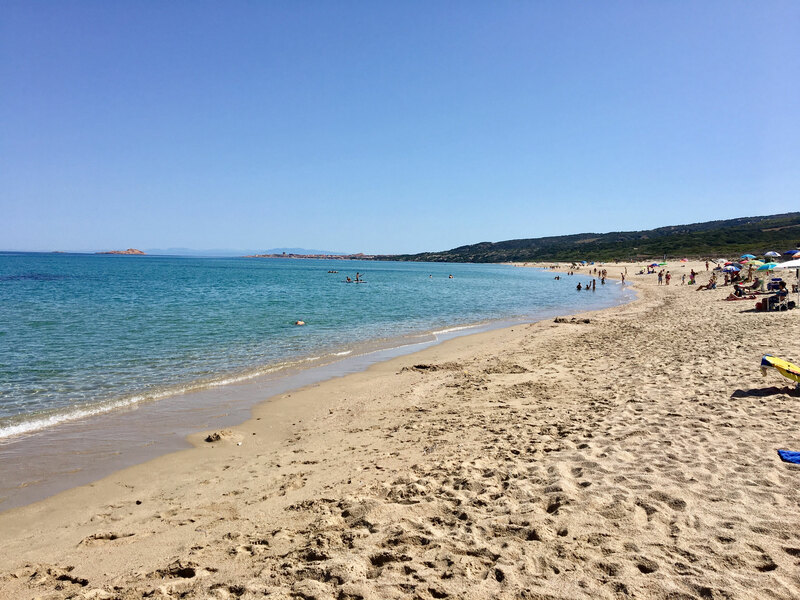 Absolutely perfect!After 2 hours of a fairy-tale time on this beach, we checked out the nearby hot tourist spot at Capo Testa. 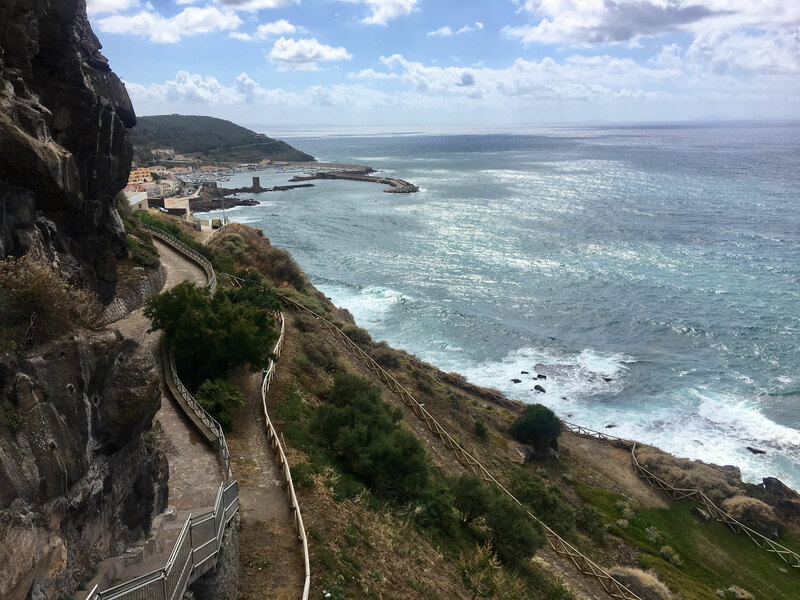 Absolutely breathtaking views can be admired from the Capo Testa lighthouse. 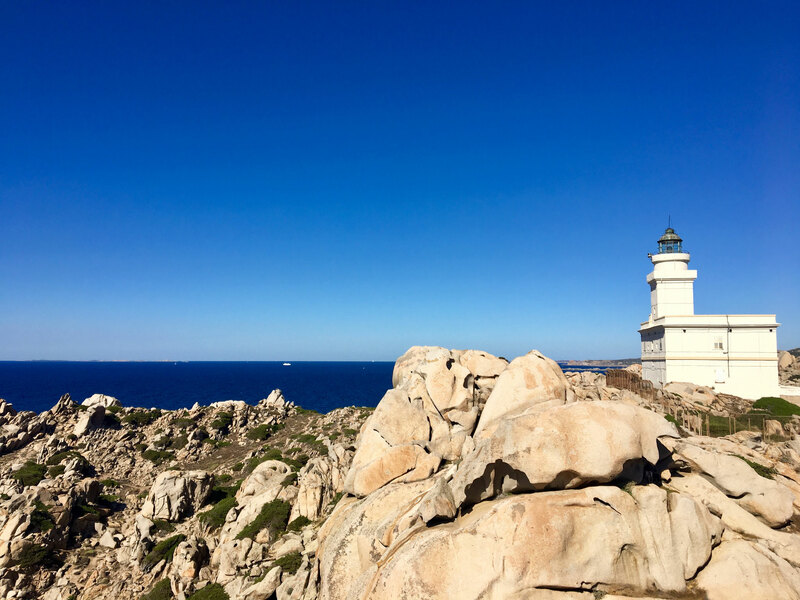 The lighthouse is considered crucial for navigation purpose in North Sardinia and has been active since 1845. 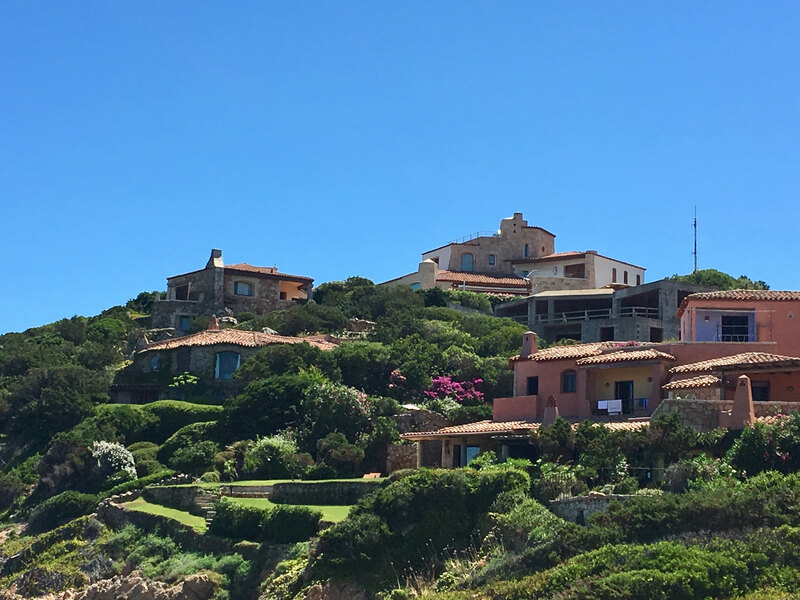 On the other shore can be recognized Corsica. After exploring north coast a bit, there was a pleasant home made dinner awaiting us at the host´s house. 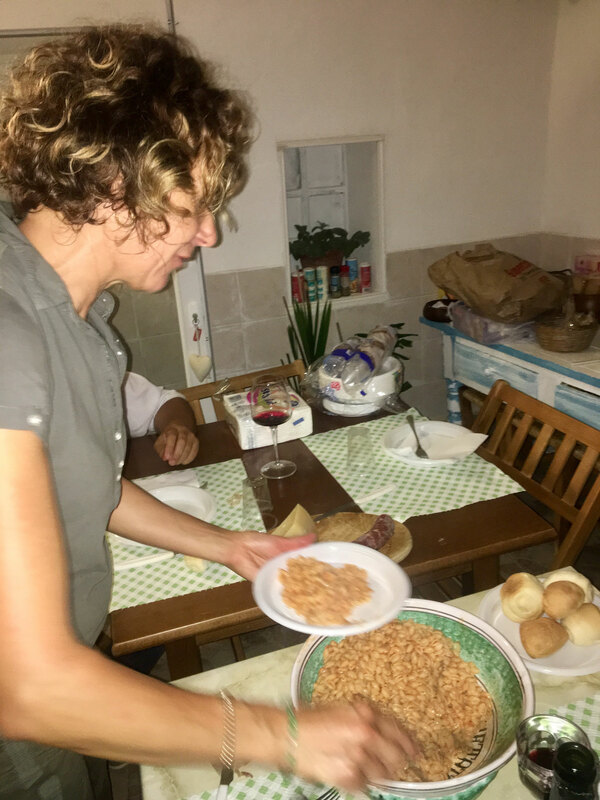 Stefania prepared for us some typical sardinian disheh and served us a good bootle of Canonau. Salute e grazie! Last but one day of our vacation: Bathing in Badesi. 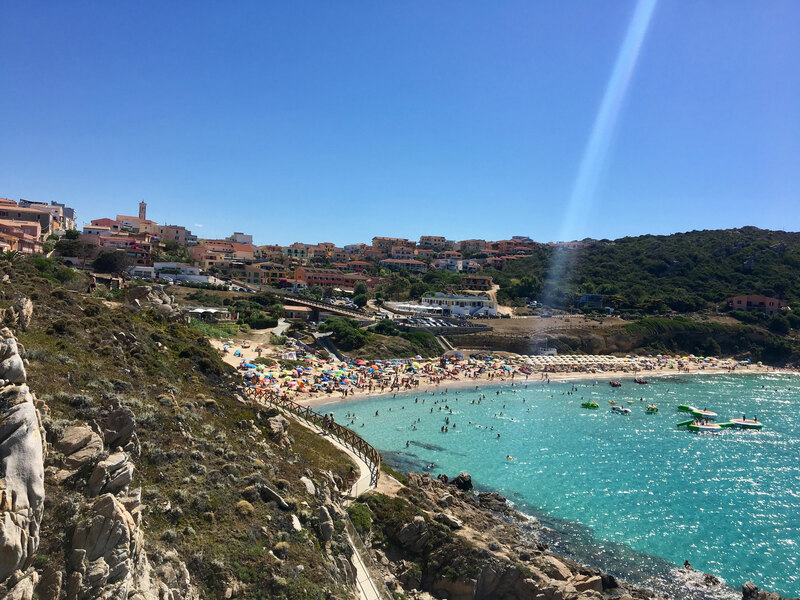 We spent our last full day of our unforgettable sardininian holiday on the beach called Li Junchi in small town Badesi. The highlight of the day was our visit in a restaurant on our way back to Castelsardo. This is a Bar-Pizzeria-Ristorante place which offers fresh fish, pizza and also local dishes. We have choosen pizza as we totally love it while in Italy! Check out my photos! 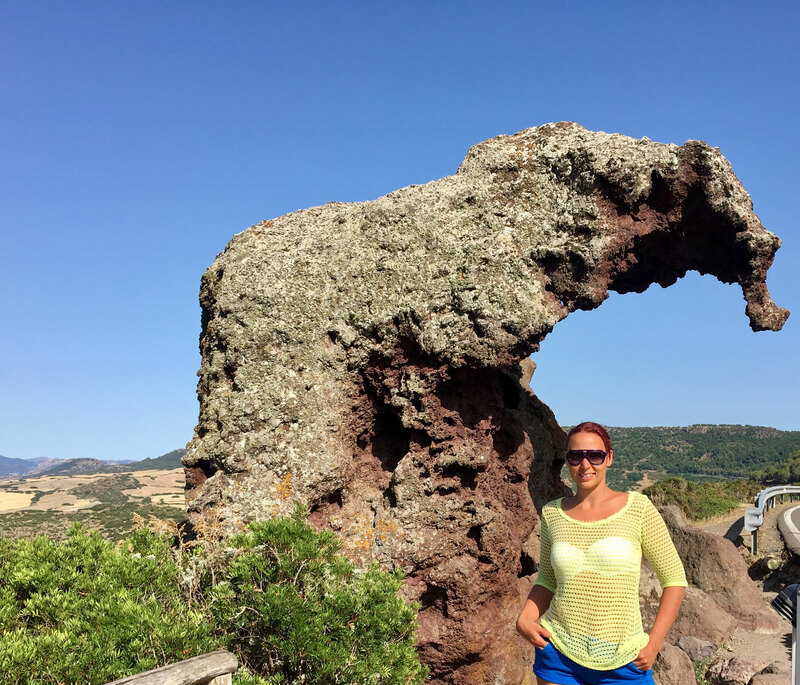 As our today´s last stop before ending up in Castelsardo we went to see the famous "Roccia dell´Elefante" - the elephant rock, just few minutes drive from Castelsardo. 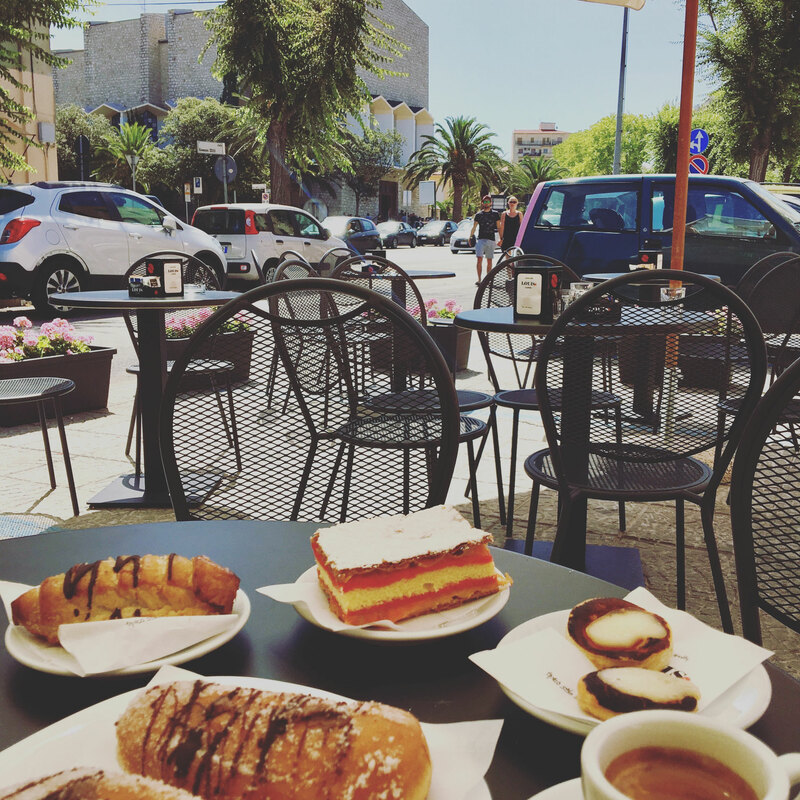 Driving back on the saturday morning, heading to Alghero, we catched up with my lovely sister and grabbed a sip of coffee. 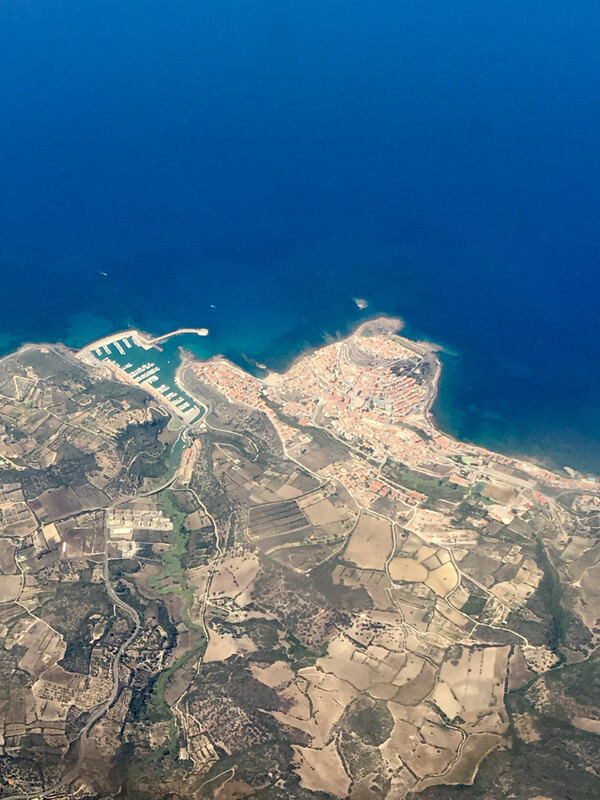 As usually, we flew with Ryanair on the route Alghero-Bratislava. 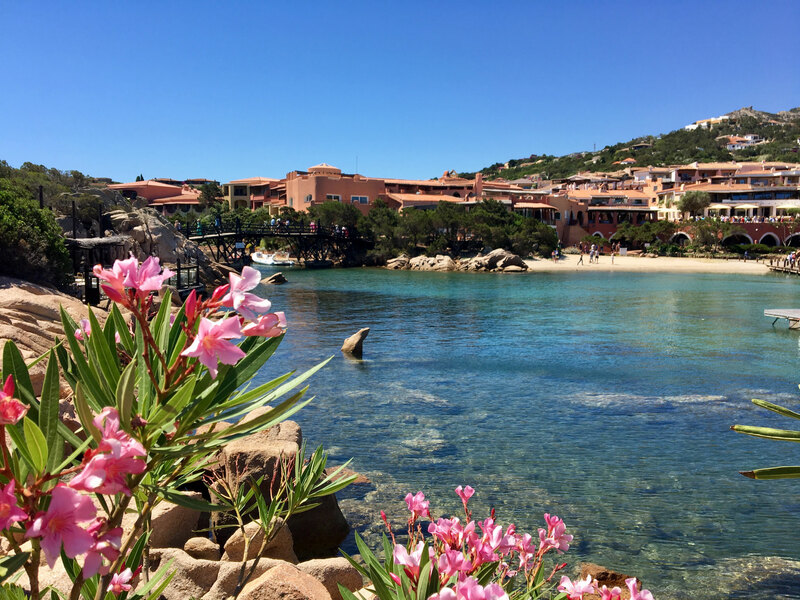 The best deal for destination Sardinia. 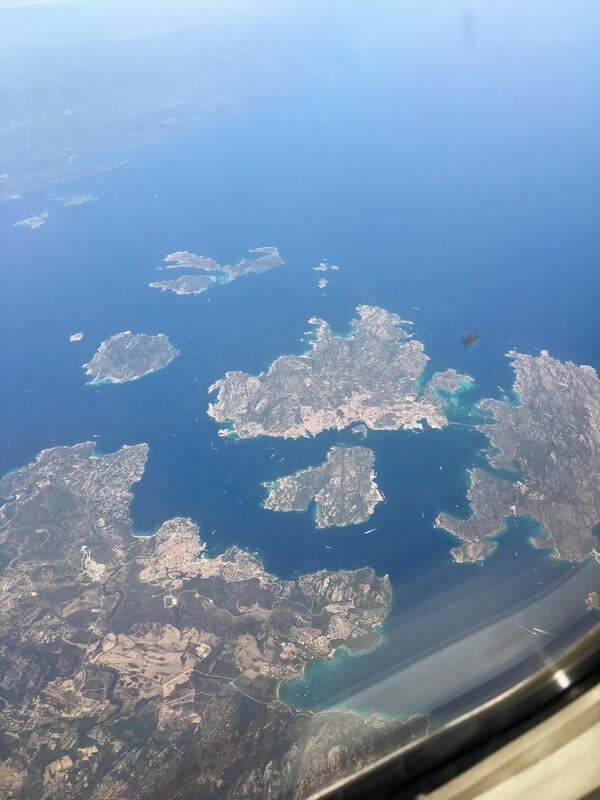 So if you would like to spend some days on the one of the most beautiful islands in the Mediterrean, choose this low cost carrier. 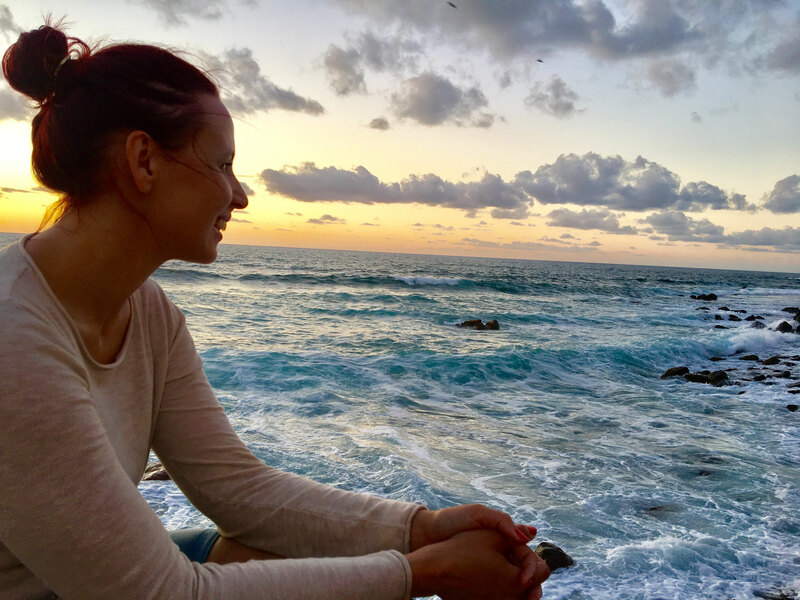 Guys, if you liked my article, I would be happy if you leave me a short comment or question regarding travels. Ciao!